Why is it with fads constantly coming and going—Rock & Roll, Country & Western, Psychedelic, Folk, Blues—why is it that this man has been able to remain in the mainstream of the American pop music scene? Percy Faith’s secret (if I may be allowed to reveal it) is simply his ability to listen; to be aware. A discussion with Percy today is likely to touch on Feliciano, The Doors, Blood, Sweat & Tears or Donavan. Had you spoken to him ten years ago, Buddy Holly would have been the center of the conversation. Blend an awareness and perhaps more importantly an understanding of contemporary music with an expertise at arranging and conducting an orchestra and voices and you have the brilliant sound of the Percy Faith Orchestra and Chorus. The sound of today! They’re all here, the biggest of today’s hits, a cross-section of the American musical taste. Songs like Aquarius and Good Morning Starshine from the smash musical “Hair,” Love Theme From “Romeo and Juliet” and Blood, Sweat & Tears’ Spinning Wheel—just to mention a few. All 1969 and all have been residents of the coveted #1 slot on the nations best-seller charts. 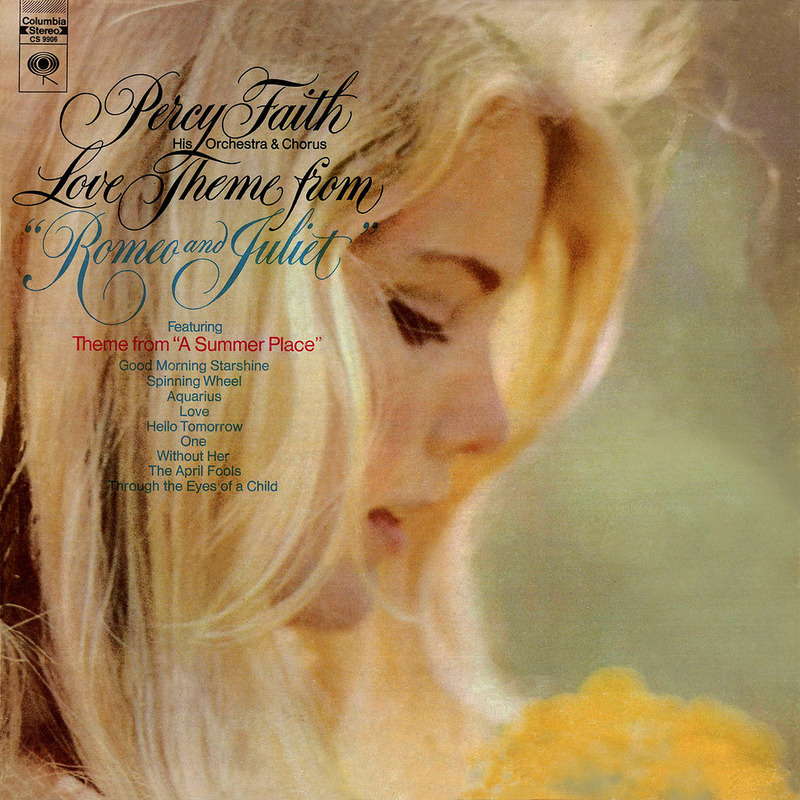 As if this weren’t enough of a musical experience for one album, there’s more—a very special gift from Percy to you: Summer Place ’69 (The original was done by Percy Faith’s orchestra in September of 1959 and has sold in excess of three-million records.) A beautiful song when Percy first recorded it with his orchestra, even more beautiful today with the addition of the chorus. Here they are, today’s songs in today’s sound for today’s people—for you.